We recently shared news of another convertible device, code named ‘Snappy’, that looks to be adding stylus support. The new Chromebook is being manufactured by an ODM making it a little tricky to pinpoint the final namesake of the device. However, being the inquisitive minds that we are, we have connected a few dots and made a pretty solid case for what company is behind the new stylus-wielding, Apollo Lake-driven Chromebook. Before we get into the “who” and “why” let’s clear the air about who isn’t making this Chromebook. Shortly after revealing ‘Snappy’ a number of other news outlets picked up our post and made some more-than-speculative presumptions about the creator of this device. Specifically, it was stated that this Chromebook would be another Samsung Chromebook Pro. There were even links back to our original ‘Snappy’ article. Now, speculation is part of the game when tracking these devices. But, we do our best to find solid connections between devices and manufacturers before we even begin to hypothesize about the creator. In our original post we make no mention of the Samsung Pro let alone that this new device is made by Samsung. Perhaps the fact that ‘Snappy’ is wielding a stylus prompted some to immediately point in Samsung’s direction as the OEM. Who knows? With that being said the other guys can speculate away. We just wanted to be clear that the information did not originate from Chrome Unboxed. We’ve done a lot of research when it comes to Samsung devices in the Chromium repositories. I mean a lot. From the infancy of the Samsung Chromebook Pro, ‘Kevin’ to its possible companion device ‘Caroline’, many hours have been spent dissecting commits to uncover the manufacturers identity. Direct, clear connections have been made between these devices and Samsung. The new convertible Chromebook ‘Snappy’ has zero connections with Samsung. In fact, the majority of work being done on this device comes from Intel and the ODM, Quanta. The short version, Lenovo. Here’s why. 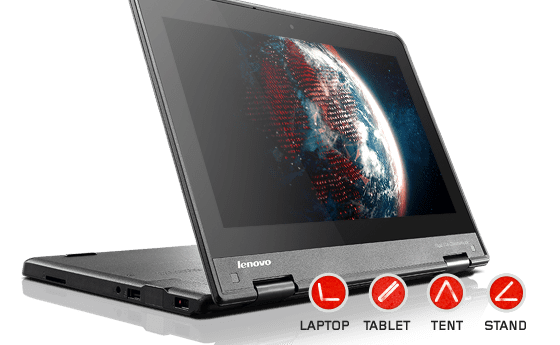 In late October we revealed a new device we strongly suspect is the next generation Lenovo Yoga ThinkPad Chromebook. ‘Pyro’, as it is referred to in the commits, is another Apollo Lake-based convertible. ‘Pyro’ and ‘Snappy’ share the same baseboard, ‘Reef’. This does not inherently mean the two devices are being produced by the same company. First, ‘Snappy’ and ‘Pyro’ have been developed side-by-side since their induction to the repository. Many of the commits contain both boards sharing the same code and support as they made their way through development. That is a good indicator that they originate from the same OEM and are variants containing like features with one having slight differences from the other. This could also indicate what is referred to as a “white-label” device. These Chromebooks are produced by an ODM then marketed to third parties who then brand them their own. Much like the Viglen 360, you can see these devices being pushed out by multiple manufacturers with the exact same specs. You can find the Viglen’s U.S. counterpart in the Edugear CMT Chromebook. Identical devices, different name brand. We look very closely at email addresses to see common bonds between existing devices of which the OEM is know and Chromebooks still in the works. 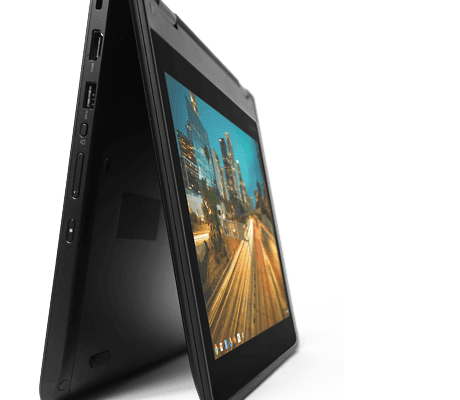 Like ‘Pyro’ we found more than a few names shared between it and current Lenovo devices like the Chromebook 13 (Sentry) and the previous Yoga ThinkPad 11e Chromebooks (Ultima and Glimmer). Aside from Intel emails, the common thread in these devices were the same Quanta addresses for all 4 boards. Fine tune matrix of base and lid. In case you missed the ‘Pyro’ article, this is the proprietary sensor used in Lenovo’s Yoga ThinkPad devices. In the Chrome OS world it is exclusive to the Yoga ThinkPad Chromebook 11e. You can find these commits here. Marketed highly to the education sector, the rugged yet versatile Yoga ThinkPad was designed with the classroom in mind. Now it looks like Lenovo is making a move to expand into this arena with a wider array of products. Offering a new Yoga ThinkPad Chromebook with a variation that supports a built-in stylus is a bold, but brilliant decision if you ask me. While still very new, stylus-equipped Chromebooks are definitely on the way and in my humble opinion this new peripheral could see more success in education than any other area. The application for such a device could range from elementary all the way to university. Imagine a device that, in one school, is being used to learn basic fundamentals such as addition and geometry. Then, just down the road, graphic design students creating projects on the same device! It is so awesome to see OEMs like Lenovo going all in with Chrome OS. Creating more device options for educators as well as expanding their consumer portfolio is proof positive that Chromebooks have made their mark. We look forward to other manufactures following Lenovo’s lead. Hat’s off to all who do.